Don't malign this misunderstood town. Many residents of Cornelius are proud of where they live. Let's be honest: Cornelius doesn't get a lot of respect. There isn't a lot to see when you drive through town. Many of the buildings — storefronts, industrial lots and even the odd detached house — standing along the Highway 8 corridor have clearly seen better days. And the city might be best known for having the lowest median income per capita of any city of at least 10,000 people in Washington County. But there's one thing that Cornelius has that no one can look down on. It has heart. Community spirit is hard to come by in some places — especially in the suburbs, especially in old factory towns, especially in the kind of towns most people just pass through on the highway. But when Cornelius threw a celebration to mark 125 years since incorporation, on a pleasant Saturday afternoon in May when they could have been doing just about anything else, dozens of people of all ages came out to Cornelius Elementary School for the occasion. And this Saturday, May 19, when the city holds its annual "Take Care of Cornelius Day," you can bet that people of all ages will come out to volunteer and do their part to beautify their community. Take Care of Cornelius Day is one of the best traditions here in western Washington County: a day devoted entirely to community members coming together to pick up trash and otherwise clean up the streets of Cornelius. A volunteer committee meets over a period of months every year to plan the event for maximum visibility and impact, and then it's up to residents to help with the work. That's the way a community should function. Cornelius' problems are hardly unique. There are blighted highway corridors in Hillsboro, Beaverton and Tigard, too. Downtown areas have to fight to attract and retain successful businesses in Forest Grove, Sherwood and St. Helens, too. Poverty and homelessness are hard to miss in Portland, Newberg and McMinnville, too. And like those other communities, Cornelius has leaders — officials and volunteers alike — who are working to combat those issues. The city is preparing to embark on the process of developing a town center master plan and an urban renewal plan, documents it hopes will guide a gradual overhaul of its commercial core. Signs of progress are already visible in the form of street and sidewalk improvements along Highway 8 and (currently in progress) 10th Avenue, as well as in new construction like the Virginia Garcia Memorial Health Center and Cornelius Place, a mixed-use library and senior housing facility being built across the street from Cornelius Elementary. Although it doesn't have the most attractive streetscapes in the county, there is plenty of room for optimism about the future of Cornelius. Its residents and leaders have invested in the community. As their efforts begin to bear fruit, outside investment will follow. 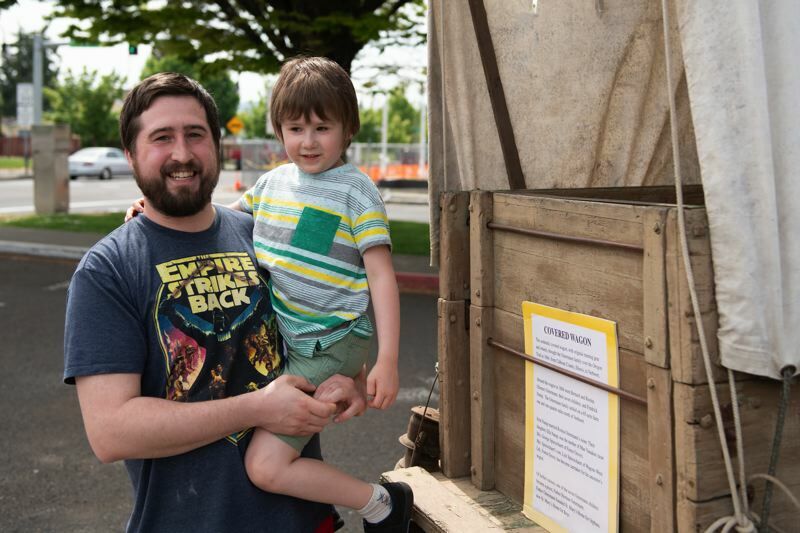 The sense of community spirit in Cornelius is something that other cities in Washington County should take a leaf from. Every place has its own character and traditions. But when it comes to coming together for a common cause, Cornelius is leading the way. And that's something everyone in the community can be proud of.